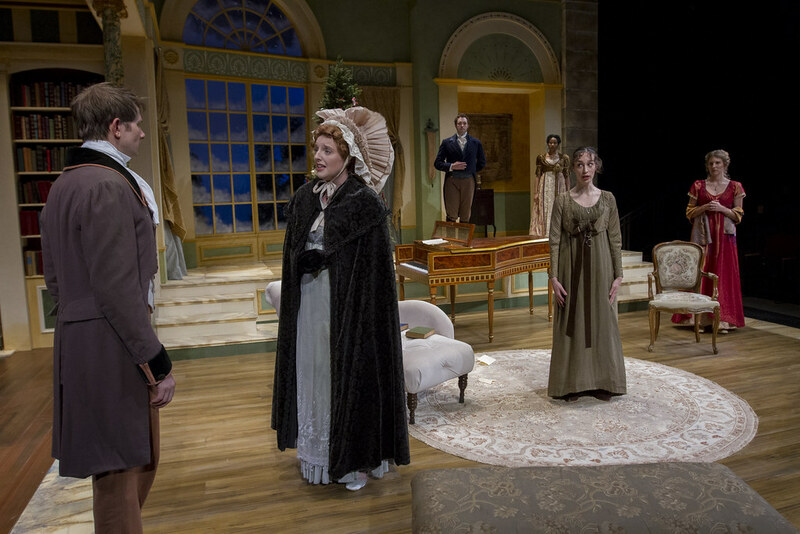 This world premiere play picks up two years after Jane Austen’s beloved tale ended, with a clever and captivating style that will delight Austen aficionados and new-comers alike! 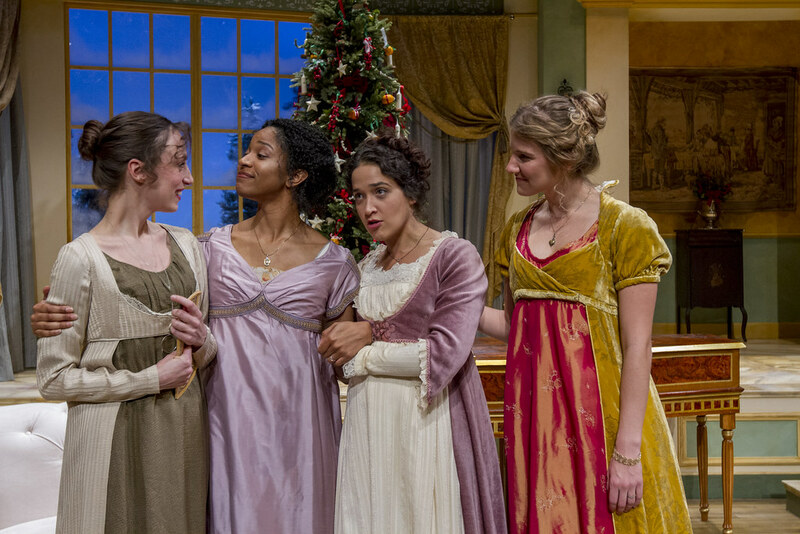 When you last heard about them — at the end of Jane’s Austen’s ever-engaging masterpiece “Pride and Prejudice” — the five financially challenged Bennet sisters (from oldest to youngest, Jane, Elizabeth, Mary, Kitty, and Lydia) were in various states of marriage and singledom. After much sturm und drang, Elizabeth was to marry the dreamy and wealthy Mr. Fitzwilliam Darcy. 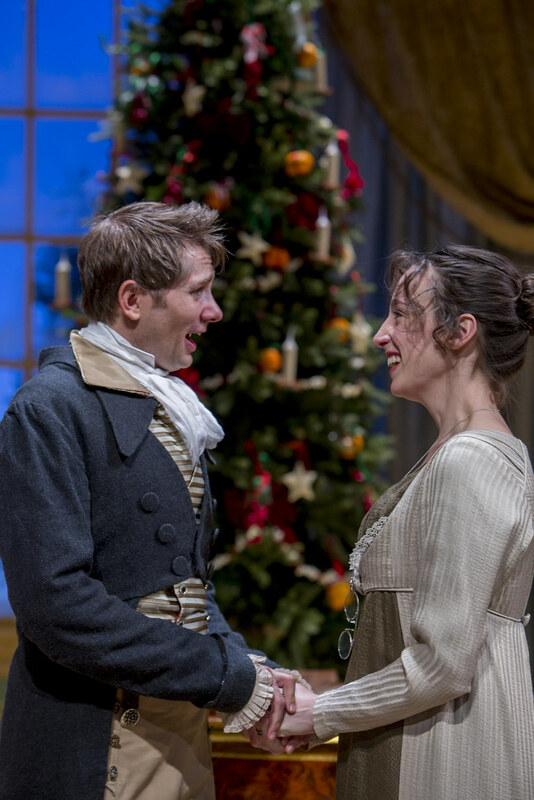 The man-crazed Lydia managed to avoid a catastrophic scandal — marrying Wickham, the soldier and bounder, thanks to the generous (and covert) support of Darcy. 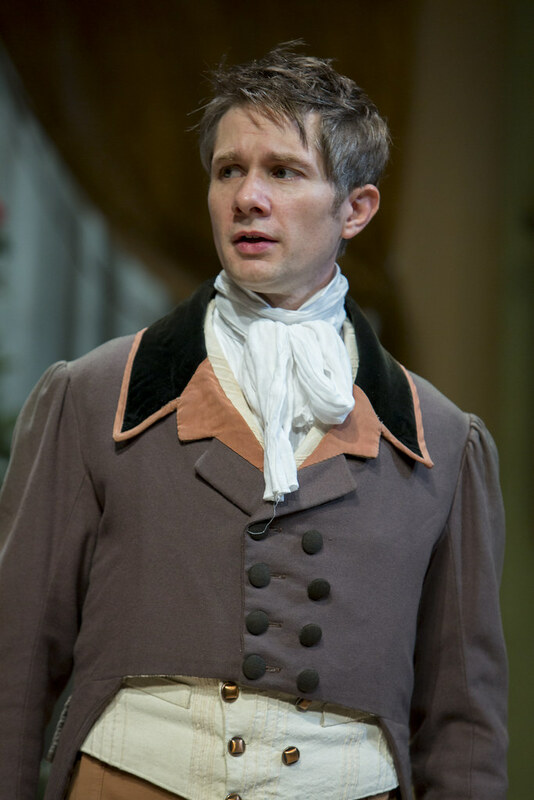 And Jane was marrying Mr. Bingley, another well-to-do gentleman. Kitty, initially in the Lydia mold, appeared to be maturing and settling down a bit. As for the plain, bookish, rather literal Mary, Austen seems to suggest she is destined for spinsterdom. 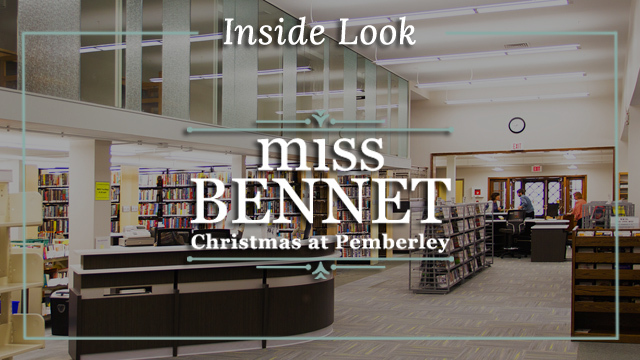 But now comes “Miss Bennet: Christmas at Pemberley,” the newly imagined, utterly beguiling dramatic “sequel” to Austen’s novel. 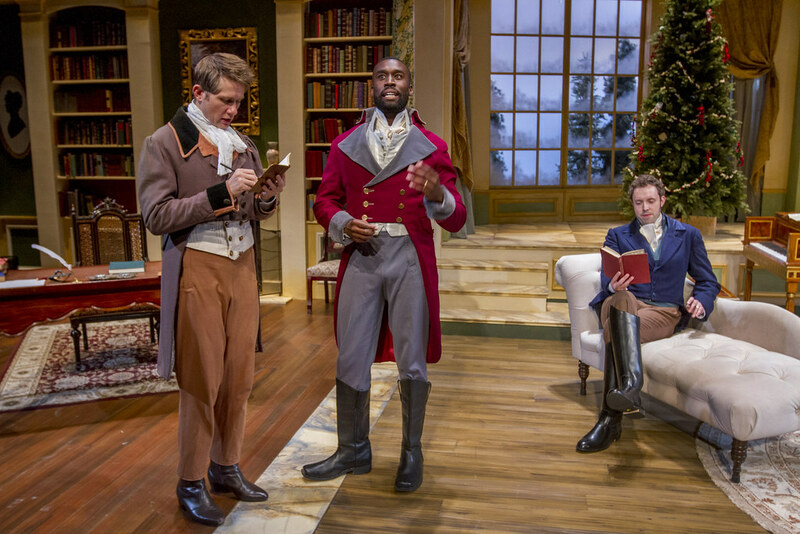 Written with great panache by Lauren Gunderson and Margot Melcon, it is receiving a delicious world premiere production by Northlight Theatre — where Jessica Thebus, an impeccable director, has gathered a stellar cast that moves into 18th century English society as if to the manor born, yet at the same time infuses everything with a thoroughly modern comic edge. 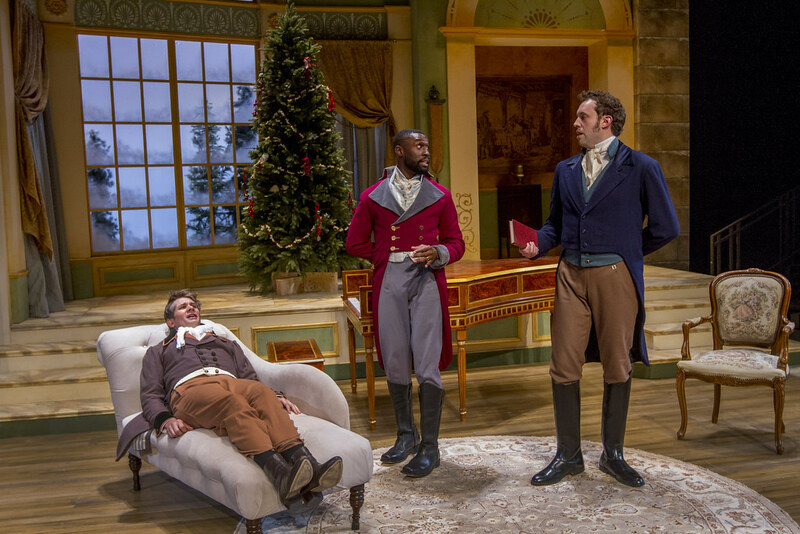 The show is a gem — ideal for the holiday season but also sure to prove evergreen. 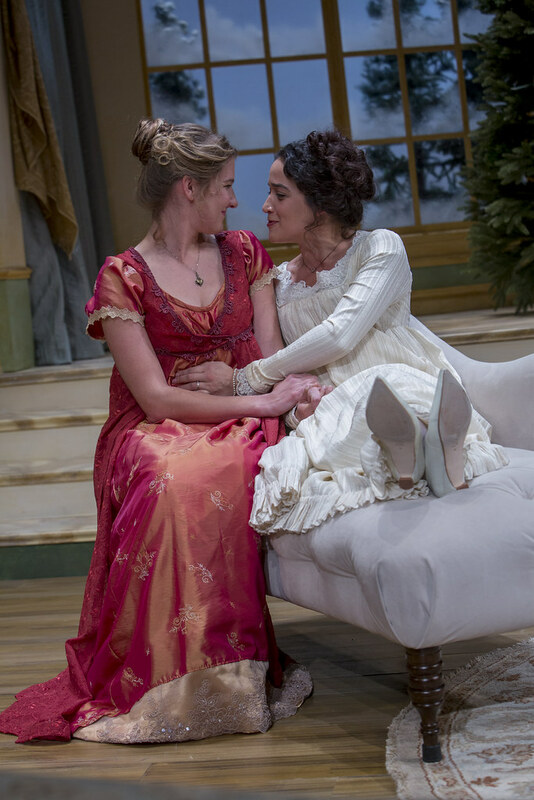 With Miss Bennet: Christmas at Pemberley, playwrights Margot Melcon and Lauren Gunderson craft a sparkling, witty, feel-good rom-com that is also a sharp, trenchant commentary on the perils of institutionalized misogyny. 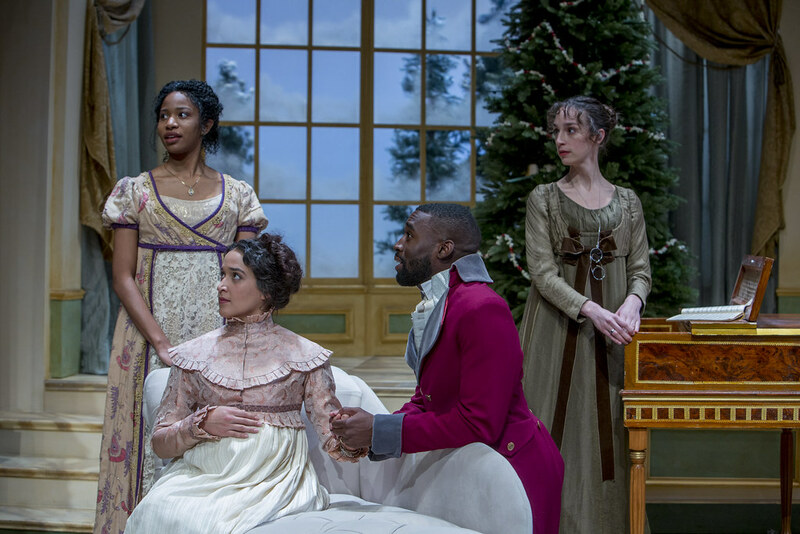 Director Jessica Thebus strikes a perfect balance in Christmas at Pemberley: She instills it with a fizzy, charming ebullience throughout, but also shows with laser-like clarity the desperation and despair that engulf women without agency. 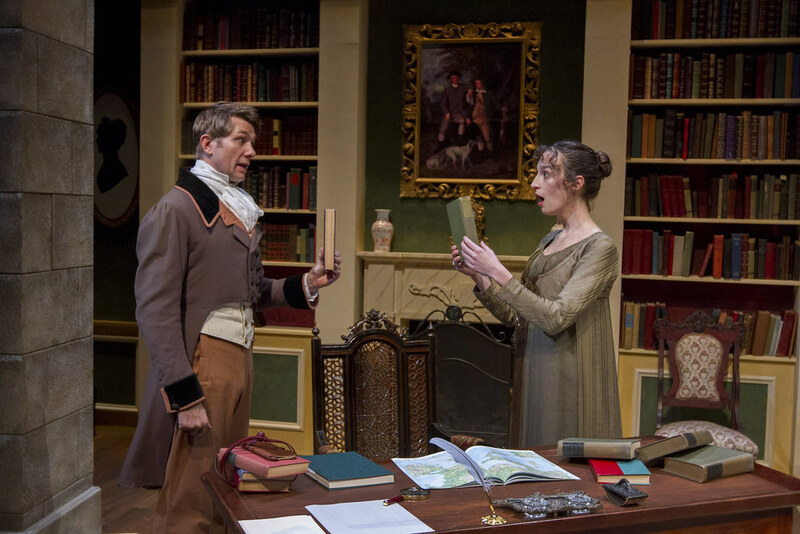 When Jane Austen wrote “Pride and Prejudice” in the early years of the 19th century, there was no heroic place for the unreconstructed nerd in the throbbing romantic novel. 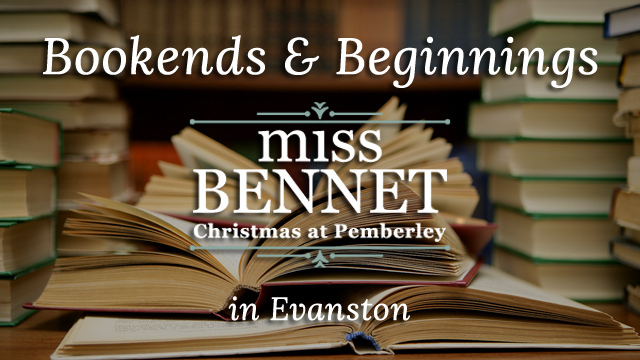 Even though Austen wrote about a society family, the Bennets, blessed with five daughters, you can turn a page or blink an eye and miss the dweeby Mary Bennet, the boring one who liked to play the pianoforte and read alone. No dude attached. Like, ever. 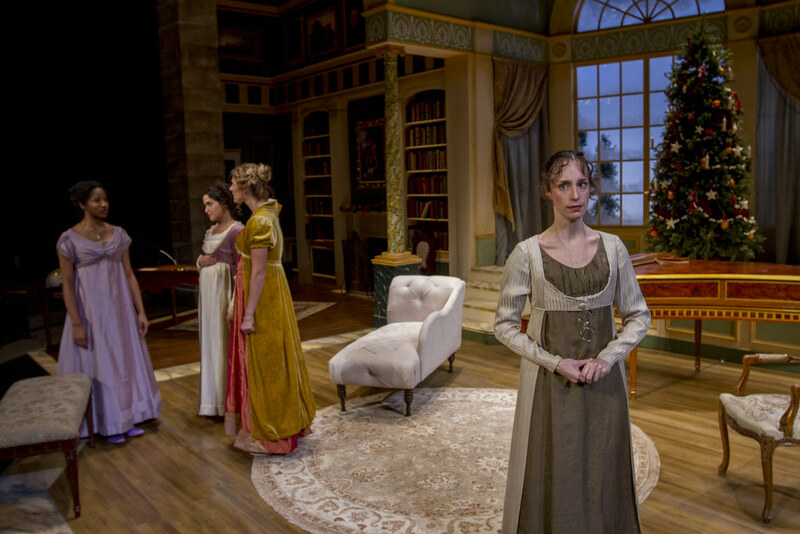 Austen could not have anticipated the techno-fueled rise of the geek squad, of course, and I suspect she would have been amazed to see her middle sister — a sibling so dull she disappears for broad stretches of the novel — at the center of her own holiday-themed show. 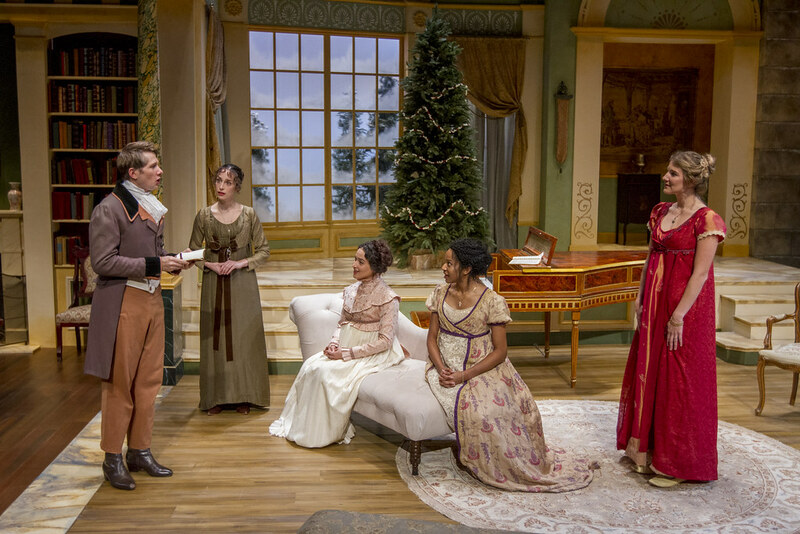 Pitched at a carefully contemporary feminist tangent by the gifted playwright Lauren Gunderson, working here with Margot Melcon, “Miss Bennet: Christmas at Pemberley” is a droll and quite delicious seasonal sequel to “Pride and Prejudice,” a period pairing of Mary with a gentleman as awkwardly bookish as herself and thus a celebration of nerd love in all its overeducated glory. Samantha is delighted to be working at Northlight. 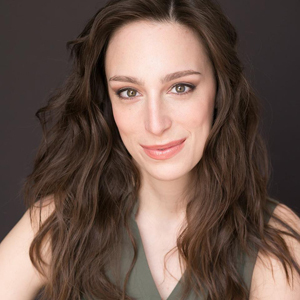 Other Chicago credits include: You Can’t Take it With You (u/s, Northlight Theatre); Red Bud (Signal Ensemble); In Loco Parentis (Next Theatre); The Explorers Club (u/s, Windy City Playhouse); and The Beecher Sisters (Awkward Pause). 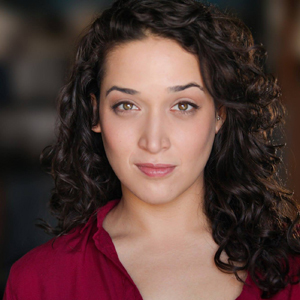 NYC: Three Sisters (Gowanus Arts + Production); and Kassandra (Juilliard Drama). 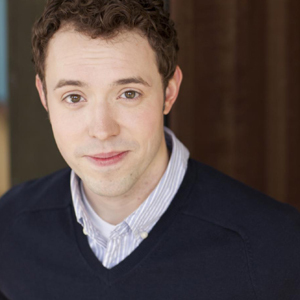 Regional: A Christmas Story and Sleep Rock Thy Brain (Actors Theatre of Louisville). 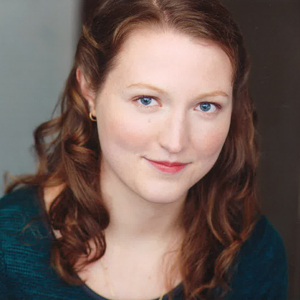 Sam is also a playwright and her plays include Thing 100 (NHSI Cherubs, Agnes Nixon Festival), Welcome to the Laborhood (Northlight Education), and the book for a new musical, Mill Girls (The Music Theatre Company). Her play, The Snare, will premiere this season at Jackalope Theatre. Ed: Actors Theatre of Louisville Apprenticeship, Northwestern University. 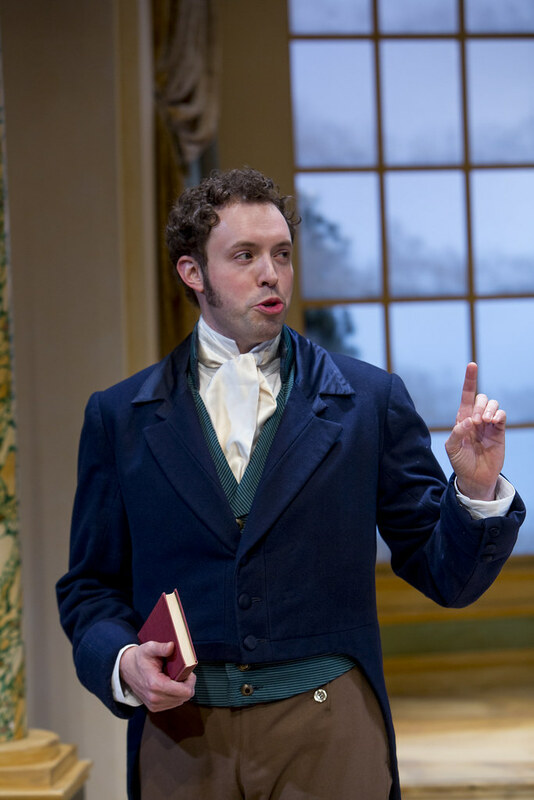 Roberto is ecstatic to be working with Northlight on Miss Bennet! 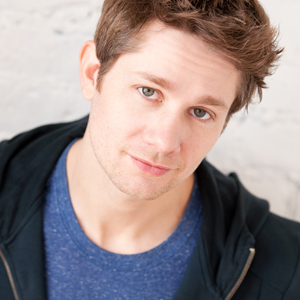 Born and raised in Milwaukee Wisconsin, he has lived in Louisville KY, where he completed the Actors Theatre of Louisville Acting Apprenticeship in 2013, New York City, where he worked as an actor for The Director’s Company and Columbia University, and now Chicago, where he has worked with Latino playwrights Jose Rivera at The Goodman and Elaine Romero at ABT. 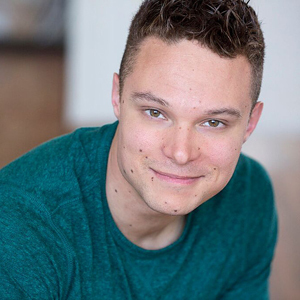 Other Chicago Credits include The Royal Society of Antarctica at The Gift Theatre, Pinocchio: A Folk Musical at Filament Theatre, and The Rose Tattoo at Shattered Globe. Roberto is dedicated to the magic of artistry in Chicago and loves making music on Sunday mornings! Jennifer is so excited to be working at Northlight for the first time! She is a Georgia peach at heart, but actually enjoys the cold of the Midwest. 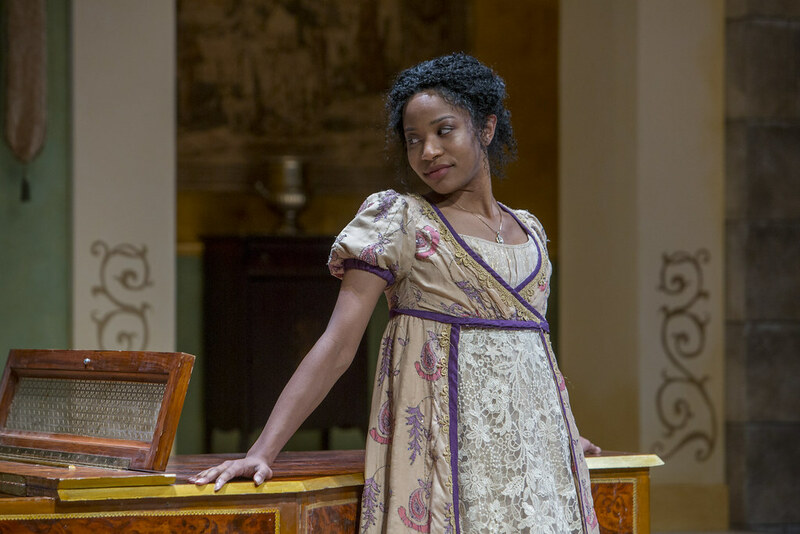 Her most recent credits include Ann in The African Company Presents Richard III and Chloe in Arcadia (American Players Theatre). 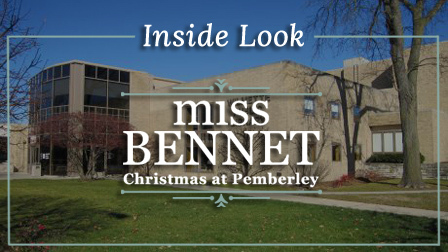 Jennifer is so thrilled to begin her Chicago career with Miss Bennett and looks forward to what the future has in store. Much thanks and love to Mom, Dad, John, Uncle Marion and all my family across the world. Aila is excited to be making her debut at Northlight Theatre! 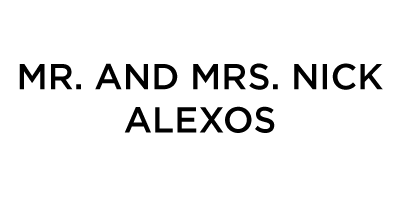 Chicago theatre credits include The Royal Society of Antarctica (The Gift Theatre); 1984 (Steppenwolf for Young Adults); Brahman/I: A One Hijra Stand Up Comedy Show (About Face/Silk Road Rising) and The Elephant and the Whale (Chicago Children’s Theatre). Boston theatre credits: Brahman/I: A One Hijra Stand Up Comedy Show (CompanyOne) and The Who and the What (Huntington Theatre). 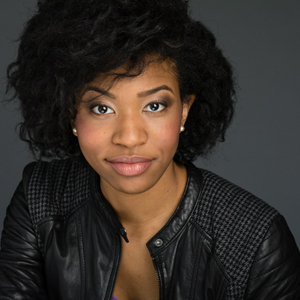 Aila is a proud graduate of The School at Steppenwolf and University of North Carolina School of the Arts. She is represented by Gray Talent Group. Special thanks to her family for their endless love and support. Margot is the Program Executive for Promoting Culture at the Zellerbach Family Foundation. Previously, she was the literary manager and dramaturg at Marin Theatre Company where she produced the New Works Reading Series and administered two annual new play prize competitions in addition to acting as production dramaturg. 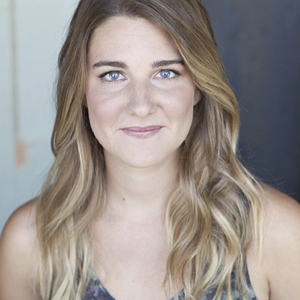 Prior to joining Marin Theatre in 2008, she worked in the literary and publications departments at A.C.T. in San Francisco. She is a freelance writer for American Theatre magazine and was a fellow at the National Critics Institute at the O’Neill Playwrights Festival. She is a graduate of California State University, Chico. 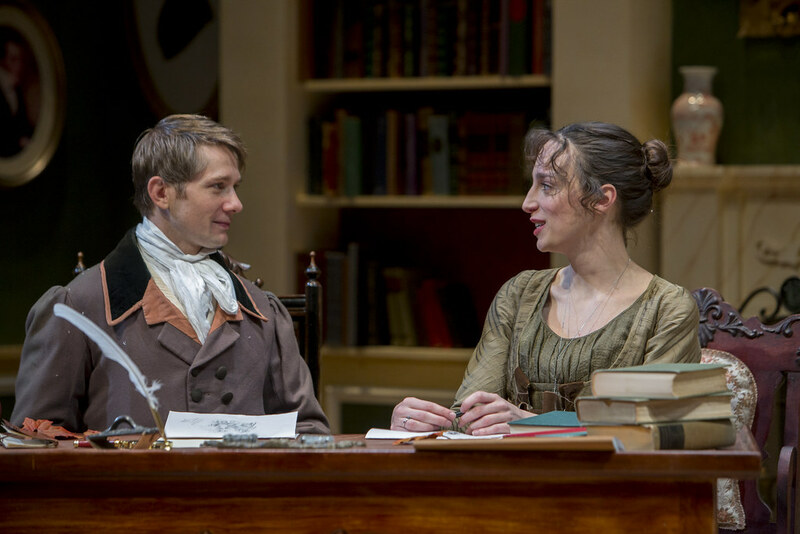 Richard and Jacqueline are very happy to be collaborating once again with Northlight, having previously designed Gee’s Bend, Pride and Prejudice, Tuesdays with Morrie, The Mystry of Irma Vep, At Wit’s End, and Over the Tavern. Recent designs include: Pygmalion, Northanger Abbey, Love and Information, and The Importance of Being Earnest (Remy Bumppo); Apartment 3A, and Stick Fly (Windy City Playhouse); Nice Work If You Can Get It, Big Fish, and All Shook Up (Theatre at the Center); Richard III (Gift Theatre at Steppenwolf); Mud Sky Blue (Red Orchid); Luck of the Irish and Welcome Home Jenny Sutter (Next); Hank Williams: Lost Highway (American Blues Theatre); Barnum and The Christmas Schooner (Mercury) and Around The World In Eighty Days (Lookingglass). They have received many nominations and awards for their design work. Jacqueline is an Associate Professor in the Theatre Department at Columbia College Chicago. 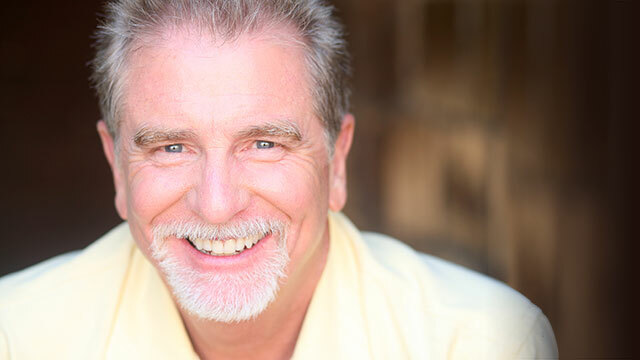 Richard runs the technical theatre program for New Trier High School. Melissa is thrilled to be working with the artists at Northlight. 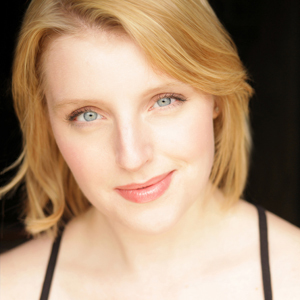 Melissa is a Chicago and Bay Area based designer, and a company member with The House Theatre of Chicago. Projects include You Never Can Tell, King Lear and The Verona Project (Cal Shakes Theatre); City of Angels (San Francisco Playhouse); A Long Day’s Journey into Night, Native Son, Jitney, and The Mountaintop (Court); Invisible Hand, The Fantasticks, Anne Frank, and Vanya and Sonia and Masha and Spike (Kansas City Rep); Little Shop of Horrors (Cleveland Playhouse); A Midsummer Night’s Dream (Chicago Shakespeare); The Last Wife (Timeline); The Last Defender, The Iron Stag King, The Crownless King, The Excelsior King, Rose and the Rime, and The Magnificents (The House Theatre); Peter Pan (Lookingglass); Samuel J and K (Steppenwolf); Grease (American Theatre Company); James and the Giant Peach (First Stage Milwaukee) Chapter Two (Windy City Playhouse); My Fair Lady, Joseph…Dreamcoat, and Hair (Paramount Theatre); Gypsy, Aida, and Sugar (Drury Lane Oakbrook); Not Wanted on the Voyage (American Musical Theatre Project, Northwestern University); The Importance of Being Earnest (Jeff Nomination, Remy Bumppo); and Abigail’s Party, and Butcher of Baraboo (A Red Orchid). 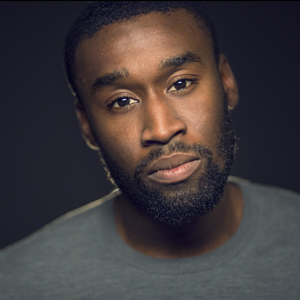 Upcoming Projects include; Native Son (Marin Theatre); Silent Night (Opera San Jose); and Robin Hood (First Stage Milwaukee). 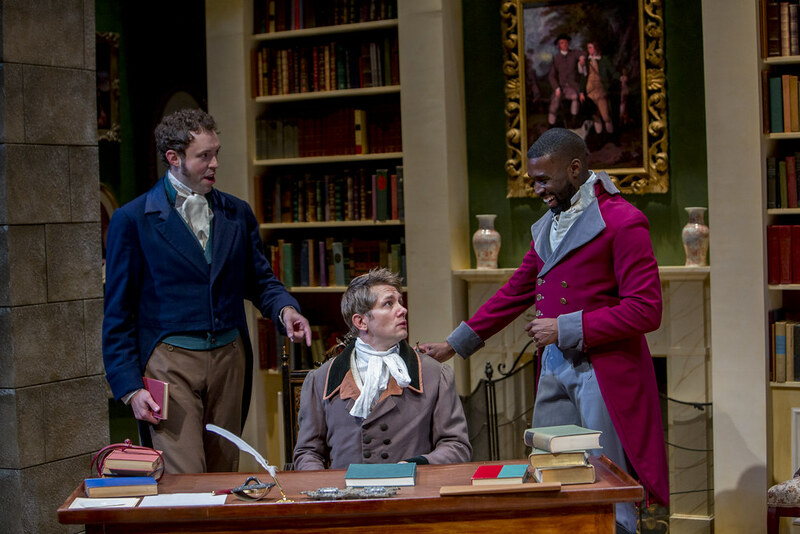 A mid-day discussion with Artistic Director BJ Jones about Miss Bennet, featuring guest artists offering behind-the-scenes insight into the production while it is still in rehearsal. 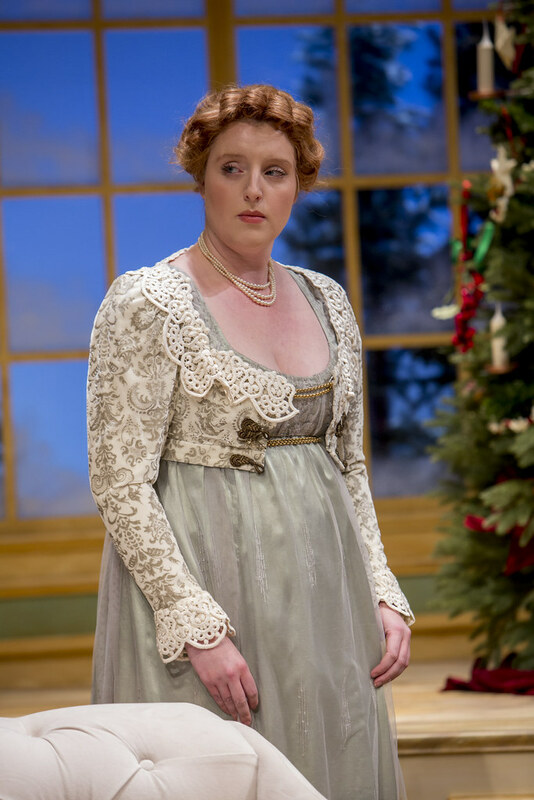 Join Playwright Lauren Gunderson and Northlight artists in a questions and answer session following the performance of Miss Bennet: Christmas at Pemberley. 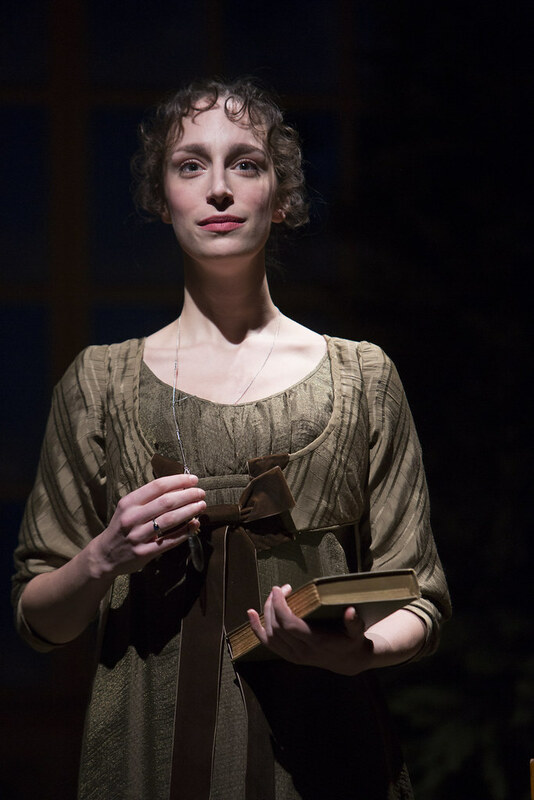 Explore the historical and literary context of Miss Bennet through a discussion and Q&A session with artists related to the production. 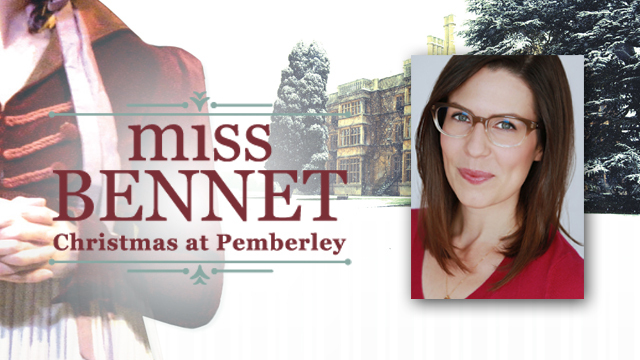 Explore the historical and literary context of Miss Bennet through a discussion and Q&A session with Scenic Designer Jacqueline Penrod. 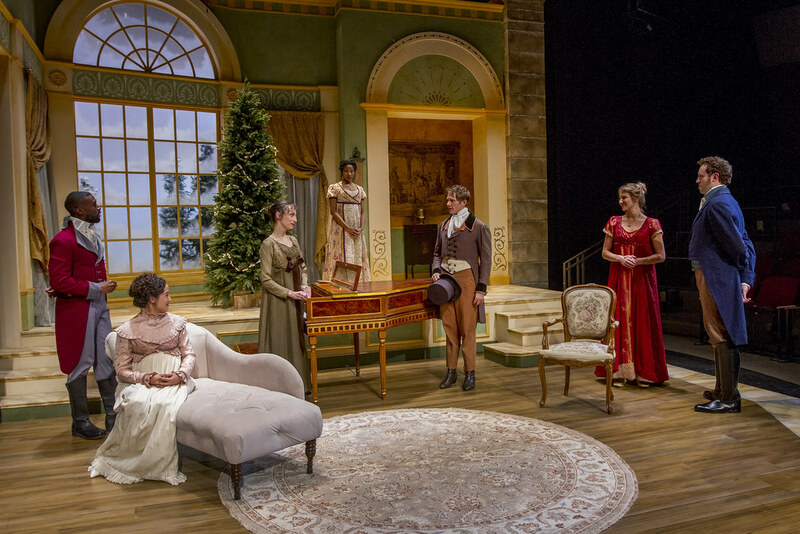 Join Northlight Theatre and The Jane Austen Society as they discuss Miss Bennet: Christmas at Pemberley and Jane Austen’s influence on contemporary society.